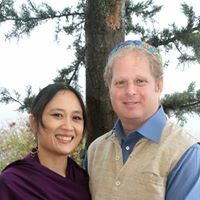 Please join us as Rabbi Or Zohar and his wife, Feliza, conclude their Scholar-in-Residence weekend as our featured Breakfast speakers. In this talk, Rabbi Zohar will share his thoughts about the recent state of Reform Judaism in Israel, based on his own experience as well as on some recent independent studies. The discussion will cover current relevant issues in Israeli society and their implications on Israeli and North American Jewry relations. Rabbi Zohar will specifically address the growing Reform Movement in Israel and its new organic and authentic Israeli character and the impact this change is having on current and future considerations for the Movement in Israel. He is eager to share more about this exciting time in Israel as new questions are being asked and new answers are being discovered. Come be a part of the conversation! Rabbi Zohar is the Reform rabbi in the Misgav region in the Galilee, responsible for enhancing Jewish life in thirty Israeli villages. He and his wife Feliza are using music to inspire and educate. Talks in this series are sponsored by Brotherhood, and include a delicious buffet breakfast of assorted bagels, smoked salmon, pickled herring, whitefish salad, tabbouleh, desserts and more. Breakfast begins at 9:15 am The presentation runs from 9:45 am to 10:45 am and is usually followed by a question and answer session. Admission is $10; free to Brotherhood members. For more information, email brotherhood@templeisaiah.net.